Novus Law provides The New Certainty by assembling a team of highly trained professionals from four disciplines – law, business, engineering and technology – to bring the best practices that have revolutionized other industries to the legal profession. Novus Law is a uniquely distinct legal services firm, founded on the principle that clients need more than just brilliant legal minds to achieve their objectives in an increasingly complex and expensive legal landscape. Our firm brings the science that clients and their law firms need to enhance the art of practicing law. Ray Bayley is responsible for leading our firm’s strategy, ethics, global operations, and quality management systems. He is the former Managing Partner of PricewaterhouseCoopers’ North American Business Process Outsourcing organization – considered during his tenure as the world’s leading outsourcing organization – and was a member of the firm’s 15-member management committee, responsible for overseeing the $9 billion, 70,000 person U.S. operations of the firm. Mr. Bayley is also the former Chief Executive Officer of a business process outsourcing company with large-scale operations in India. Mr. Bayley is a member of the Advisory Board of the Corporate Counsel Institute at Georgetown University Law Center and a Fellow of the College of Law Practice Management. Mr. Bayley received a Bachelor of Science degree from the University of Illinois and a Master of Business Administration degree, with Beta Gamma Sigma honors, from the Kellogg School of Management at Northwestern University. Lois Haubold is responsible for leading our firm’s strategy, ethics, global service delivery operations, and client relationship management. She is a former member of the North American Business Process Outsourcing leadership team at PricewaterhouseCoopers and Vice President of Client Relationship Management and Alliances at a business process outsourcing company, where she was responsible for integrating clients’ needs with the firm’s global service delivery system in India. Ms. Haubold serves on the boards of directors of LIFT Foundation and Community Alternatives Unlimited. She is also a Fellow of the College of Law Practice Management. Ms. Haubold received Master and Bachelor of Science degrees from the University of Illinois and a Master of Business Administration degree from the Kellogg School of Management at Northwestern University. Emily Reynolds is responsible for leading the firm's client services and technology solutions teams, as well as participating in its strategic development. She is the former Senior Vice President, Global Account Strategy and Strategic Deal Capture at Xerox – where she and her teams contributed $1.2B in major account sales – and trusted advisor to C-Suite executives in Fortune 100 companies. Ms. Reynolds is also the former Senior Vice President of the Xerox Select division, where she managed operations and sales for Xerox’s 75 largest clients. Ms. Reynolds is a member of The Wings Club and The Economic Club of Chicago. She was also a member of the Board of Directors, Boys and Girls Clubs of Chicago. Ms. Reynolds received a Bachelor of Arts degree from Mount Holyoke College. Valerie Anderko is responsible for leading client engagement teams and overseeing the delivery of services for our insurance clients and their law firms. She also identifies and leads internal initiatives to improve our firm’s service delivery processes, quality management systems, and application of technology solutions for client engagements. Ms. Anderko was previously a corporate governance attorney at CNH Global N.V.
Ms. Anderko is a founding member of the Bear Necessities Pediatric Cancer Foundation Impact 100 and serves on the Bear Necessities Associate Board. She received a Bachelor of Science degree from Winona State University and a Juris Doctor from Texas A&M University School of Law. She is admitted to practice law in Illinois. Kelli Ballard is responsible for overseeing the delivery of services for our clients and their law firms. She also participates in internal initiatives to improve our firm’s service delivery processes, quality management systems, and application of technology solutions for client engagements. Ms. Ballard is a former associate at an Am Law 100 firm where she represented clients in complex litigation matters with an emphasis on product liability and pharmaceuticals. Ms. Ballard received a Bachelor of Arts degree from DePaul University, a Juris Doctor from Howard University School of Law, and a Master of Laws degree from the Illinois Institute of Technology Chicago-Kent College of Law. She is admitted to practice law in Illinois and California. Tom Baxter is responsible for overseeing the delivery of services for our insurance clients and their law firms. He also participates in internal initiatives to improve our firm’s service delivery processes, quality management systems, and application of technology solutions for client engagements. Mr. Baxter has a broad range of experience working on eDiscovery projects for several Am Law 100 firms, with an emphasis on complex litigation, intellectual property, and bankruptcy matters. Mr. Baxter received a Bachelor of Arts degree from Michigan State University and a Juris Doctor from Villanova University School of Law. He is admitted to practice law in Illinois. Theresa Bresnahan-Coleman is responsible for overseeing the delivery of services for our clients and their law firms. She also participates in internal initiatives to improve our firm’s service delivery processes, quality management systems, and application of technology solutions for client engagements. Ms. Bresnahan-Coleman is a former associate at a mid-sized civil defense litigation firm, where she represented clients in civil and commercial litigation matters with an emphasis in the areas of employment law, premises liability, professional liability, and personal injury. She is also a former investigator at a federal agency, where she focused on consumer fraud. Ms. Bresnahan-Coleman received a Bachelor of Arts degree from the University of Notre Dame, a Master of Arts degree from Loyola University Chicago, and a Juris Doctor from New England School of Law. She is admitted to practice law in Illinois. Jim Byron is responsible for all accounting and treasury functions of our firm, as well as insurance, procurement and real estate. He was previously the Controller at Resourcing Services Company, the parent of three companies providing real estate design and construction services and facilities management for SBC/Ameritech and large hospital complexes. Mr. Byron received a Bachelor of Science degree from Northern Illinois University and a Master of Business Administration degree from the Quinlan School of Business at Loyola University Chicago. He is a Certified Public Accountant in Illinois. Thomas DuPont is responsible for developing technology strategies and solutions for our firm, our clients, and their law firms. He is a former senior applications architect and developer at an Am Law 100 firm where he led several enterprise projects. He has also advised organizations across healthcare, technology, insurance and pharmaceutical industries on the development and delivery of customized enterprise solutions. Mr. DuPont holds Microsoft Professional Developer and Technology Specialist certifications. Mr. DuPont received Master and Bachelor of Computer Science degrees from Northeastern Illinois University. Sylvia Galic is responsible for leading client engagement teams and overseeing the delivery of services for our clients and their law firms. She also identifies and leads internal initiatives to improve our firm’s service delivery processes, quality management systems, and application of technology solutions for client engagements. Ms. Galic is a former associate at a mid-sized civil defense litigation firm, where she represented clients in complex commercial litigation matters with an emphasis in the areas of product liability, premises liability and insurance defense. Ms. Galic received a Bachelor of Science degree from St. Joseph’s College and a Juris Doctor from Indiana University Robert H. McKinney School of Law. She is licensed to practice law before the United States Patent and Trademark Office and is admitted to practice law in Illinois and Indiana. Ms. Moore is a member of the board of directors of Steep Theatre, an award-winning, Chicago-based theatre company. Ms. Moore received a Bachelor of Arts degree from Smith College and a Juris Doctor from Northwestern University School of Law. She is admitted to practice law in Illinois and New York. Marcella Novellano is responsible for overseeing the delivery of services for our clients and their law firms. She also participates in internal initiatives to improve our firm’s service delivery processes, quality management systems, and application of technology solutions for client engagements. Ms. Novellano has a broad range of experience working in the insurance field, formerly defending insurance companies in complex coverage cases at both the primary and excess levels. Ms. Novellano received a Bachelor of Arts degree from Miami University of Ohio and a Juris Doctor from Boston University School of Law. She is admitted to practice law in Illinois. Drew Schuck is responsible for overseeing the delivery of services for our clients and their law firms. He also participates in internal initiatives to improve our firm’s service delivery processes, quality management systems, and application of technology solutions for client engagements. Mr. Schuck is a former associate at a mid-sized insurance defense firm, where he represented clients in litigation matters, including several arbitrations and jury trials. He also has a broad range of experience working on eDiscovery projects for several Am Law 100 firms, with an emphasis on anti-trust, pharmaceutical, commercial litigation, and corporate audit. Mr. Schuck received two Bachelor of Arts degrees from Indiana University Bloomington and his Juris Doctor from Creighton University School of Law. He is admitted to practice law in Illinois. Rachel Zahorsky is responsible for developing marketing strategies, overseeing internal and external communication, and preparing media content for our firm. She is a former legal affairs journalist for the ABA Journal where she co-authored the award-winning Paradigm Shift series, which discusses how the current economic and technology climate is changing the future of the legal profession. She has also reported for Bloomberg News and the Associated Press. Ms. Zahorsky received a Bachelor of Arts degree from Loyola University Chicago, a Juris Doctor from the Illinois Institute of Technology Chicago-Kent College of Law, and a Master of Science degree from the Medill School of Journalism at Northwestern University. She is admitted to practice law in Illinois. Bertrand Alexis is Senior Director, Legal of Ooredoo Group, a world-leading global telecommunications company with over $9 billion in revenue and a presence in more than 10 countries in the Middle East. There, he has also served as Acting Chief Corporate Affairs Officer and General Counsel. Mr. Alexis previously co-founded Vistalaw International, a global team of former in-house attorneys with broad experience in providing legal support and advice to international companies. He is a former Associate General Counsel at Cable & Wireless and served as counsel to Nortel Europe and international counsel to Alcatel S.A.
Mr. Alexis serves on the board of Wataniya Mobile, the Palestinian subsidiary of Ooredoo Group. He is also a board member of NOAH NY. Mr. Alexis received a Bachelor of Arts degree from Columbia University and a Juris Doctor from Harvard Law School. Nicole Auerbach is a founding partner of Valorem Law Group, the litigation boutique firm nationally recognized as a thought leader on the use of alternative fee arrangements. She was previously a partner at Katten Muchin Rosenman, where she specialized in complex commercial litigation. Ms. Auerbach was named one of the "Most Influential Women Attorneys in Chicago" in 2017 by Crain's Chicago Business magazine, a “Top 50 Women Lawyers in Illinois” by SuperLawyers magazine and one of the “Forty Illinois Attorneys Under 40 to Watch” by the Law Bulletin Company. She is a Fellow of the College of Law Practice Management and of the Litigation Counsel of America, a trial lawyer honorary society, and is a certified arbiter through the American Arbitration Association. Ms. Auerbach founded and is the National Chair of the Coalition of Women’s Initiatives in Law. She also serves on the Advisory Board of the Institute for Inclusion in the Legal Profession. Ms. Auerbach received a Bachelor of Arts degree from the University of Wisconsin, Madison, and a Juris Doctor, with honors, from DePaul University College of Law. Ray Bayley is the President, Chief Executive Officer and a Co-Founder of Novus Law. Mr. Bayley is responsible for our firm’s strategy, ethics, global operations, and quality management systems. He is the former Managing Partner of PricewaterhouseCoopers’ North American Business Process Outsourcing organization – considered during his tenure as the world’s leading outsourcing organization – and was a member of the firm’s 15-member management committee, responsible for overseeing the $9 billion, 70,000 person U.S. operations of the firm. Mr. Bayley is also the former Chief Executive Officer of a business process outsourcing company with large-scale operations in India. Bill Elwin is the former Director of Worldwide Professional Development and Training for Shearman & Sterling LLP and Chief Learning Officer for Sonnenschein Nath & Rosenthal (now Dentons), both Am Law 100 firms. Mr. Elwin is also a former Associate Dean of the Northwestern School of Law, and Co-Founder and Executive Director of the Northwestern School of Law’s Corporate Counsel Center. He is a former prosecutor for the U.S. Department of Justice’s Antitrust Division and an elected member of the American Law Institute. Mr. Elwin is the former President of the Legal Club of Chicago and The Chicago Bar Foundation. He has received numerous awards during his career including from the Chicago Bar Association and the ABA Committee on Law School Development. Mr. Elwin received Bachelor and Master of Arts degrees from the University of Denver, a Certificate in Economics from the University of Vienna, and a Juris Doctor from the Northwestern University School of Law. Carla Goldstein is the former Associate General Counsel and Director of Strategic Initiatives for BMO Financial Group, where she drove innovative delivery models for legal services, including the use of technology, and pricing models not based on the billable hour. Her work garnered the 2015 First Chair Award and awards for the bank, including the 2016 Canadian Corporate Counsel Association Innovation Award and the 2015 Association of Corporate Counsel Value Champion Award. Prior to BMO, Ms. Goldstein was Chief Strategic Innovations Officer of SeyfarthLean Consulting and its parent Seyfarth Shaw. Ms. Goldstein is a Lean Six Sigma Green Belt and a founder of Seyfarth Shaw’s SeyfarthLean Program team. Ms. Goldstein received a Bachelor of Arts degree from the University of Massachusetts, Amherst, a Juris Doctor degree from Northwestern University School of Law, and a Master of Business Administration degree from the Kellogg School of Management at Northwestern University. Lois Haubold is our Executive Vice President and a Co-Founder of Novus Law. Ms. Haubold is responsible for our firm’s strategy, ethics, global service delivery operations, and client relationship management. She is a former member of the North American Business Process Outsourcing leadership team at PricewaterhouseCoopers and Vice President of Client Relationship Management and Alliances at a business process outsourcing company, where she was responsible for integrating clients’ needs with the firm’s global service delivery system in India. Frank Serrino is the Managing Member of Principio Capital, an angel investment firm. Previously, Mr. Serrino was the CEO of Progeny Trading Company and its predecessor firm which specialized in Treasury options trading. Mr. Serrino is also developing an investment company based on an algorithmic investment strategy he devised and programmed. He has previously worked at Chicago Research and Trading Company, LaSalle Partners, AM International, and Intel. Mr. Serrino’s Board service includes the Boards of CBOT Holdings Inc., Trinity Capital Investment, Best Money Moves and other companies. He recently joined the Philanthropy Committee of North Shore Exchange. Mr. Serrino earned a Bachelor of Arts degree from the University of Virginia and a Master of Business Administration degree from the University of Chicago Booth School of Business. 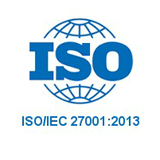 Novus Law is ISO 27001:2013 certified. This globally recognized Information Security Management System certification is generally considered to be the premier security standard for businesses globally, and very few organizations in the legal profession have achieved this certification. It addresses the security of our technology infrastructure, information management systems, facilities and people. The Co-Founders of Novus Law also founded the Novus Foundation to support educational and other community-strengthening initiatives in the places where the firm does business. These initiatives include providing operating capital for a program dedicated to bringing music education to inner-city children in Chicago and the development of an elementary school for leadership in rural India. Please let us know if you want to know more about our firm, leaders or way of doing business.